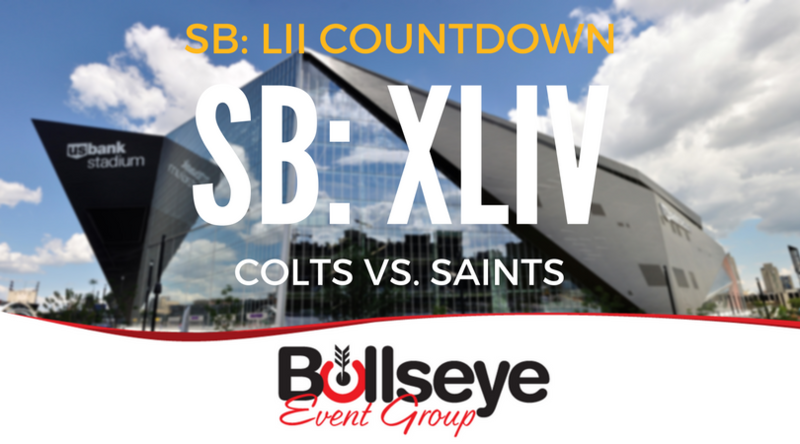 Just days away from kicking off the divisional round on the Road to Super Bowl 52, we’re heading back to Super Bowl XLIV between the Indianapolis Colts and New Orleans Saints. Super Bowl XLIV, played between the Saints and Colts, was played on February 7, 2010 in Miami, Florida at Sun Life Stadium. In front of nearly 75,000 fans, the Saints would go on to capture the Lombardi Trophy, by a final score of 31-17. Saints quarterback Drew Brees took home Super Bowl XLIV MVP honors, completing 32 of his 39 passes for 288 yards and two touchdowns. Brees tied a record previously held by New England Patriots quarterback Tom Brady, with 32 total completions in the big game. Brady set the record initially in Super Bowl XXXVIII. Super Bowl XLIV was aired on CBS in front of a total of 153.4 million viewers, with the cost of a 30-second commercial rising to a whopping $3 million. Commentators Jim Nantz and Phil Simms boradcasted Super Bowl XLIV, with legendary band “The Who” performing at halftime.